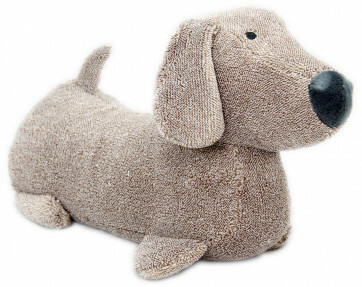 Playful and stubborn, this gorgeous Dachshund is full of mischief! Dachshunds are not renowned for their easiness to train ~ they can be very stubborn! This one will give no such training headaches, it will sit obediently and won't bark at or bite any of your visitors! Really soft two-tone fabric.